The Lost Soul Ultra Marathon takes place the weekend following Labour Day in Lethbridge, Alberta. The new 200 km event (36 hours) will start at 7:00 am Friday along with the 100 mile (33 hours) event. The 100 km (21 hours) event starts at 9:00 am Friday morning. The 50 km event starts at 7:00 am Saturday morning (11 hours). The trail course runs through the river valley coulees on public and private land. In this event, 300 ultra-marathoners race against each other, the elements, and the unrelenting hills. Less than 150 years ago, these valleys were the site of the last major First Nations battle on Canadian soil between the Blackfoot and Cree Confederacies. The 54 km course resembles a pair of stacked figure-eights. The three aid stations are located at the intersection points with segment distances varying from 7 to 16 km. Elevation gain or loss is approximately 1,200 meters with 16 significant hills over the 54 km lap. Although we are on the prairies, our river valley can feel like the Grand Canyon. Top race times are around 4.25 hours for the 50 km, 11 hours for the 100 km and 19.5 hours for the 100 mile event. The race organizers continue to keep the race small to maintain memorable running experiences. One racer commented: “Thank you to all the organizers and thanks and hugs to all volunteers, you made it possible for me to finish and enjoy spending time at each station. I will be back next year for sure.” Check out our Facebook page to read more racer comments and reports. Racers and pacers must be at least 18 years of age. 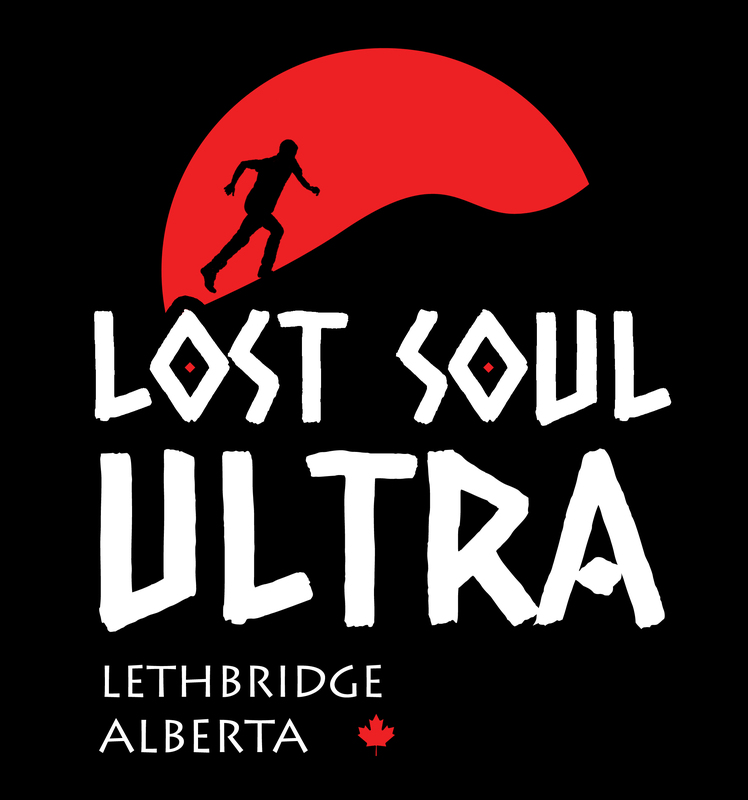 Lost Soul Ultra has maintained its status as a 100 km qualifier for the Western States 100-Mile Endurance Run. We are the only 100 km event in Canada to act as a qualifier after Western States reduced the number of qualifying races available in the world. 100 km qualifying time is under 21 hours.